Looking For A Second Mortgage / Secured Loan / Buy To Let / Let To Buy / Holiday Home Mortgage (Abroad or UK) / Home Mover Mortgage - No Obligation Free Quotes With Many Low Mortgage Rates Available. 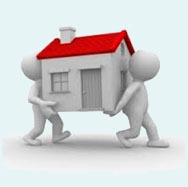 Buy To Let, Let To Buy & Second Home Mortgages. 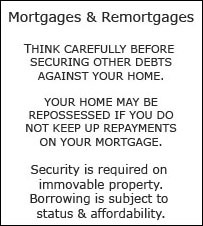 Mortgages & Remortgages For Private Use or Landlords. 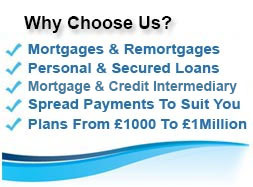 Competitive Fixed Rates On A Second Mortgage Or Remortgage. Confidential Discussions & Free Quotations. 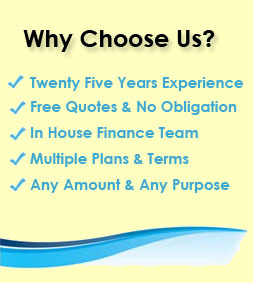 The answers to these queries and many more can be obtained by getting a free no obligation quotation from First Choice, we know the second mortgage market inside out and have arranged mortgages using some of the current best rates through our lenders for your individual circumstances. If you are interested in finding out your available second mortgage rates give us a call to talk through your plans with our mortgage team on 0800 298 3000 (freephone) or 0333 003 1505 (mobile friendly), alternatively fill in our two minute enquiry form and we will come back to you. Whether you are seeking to purchase a second home, buy a holiday home or take out a second mortgage behind your own mortgage, we arrange all of these products - just tell our team what you require. Second Mortgage advances can start at just £10,000 and go up to over £1million. Essentially you can have as many mortgages as a lender or group of lenders believes you can afford. 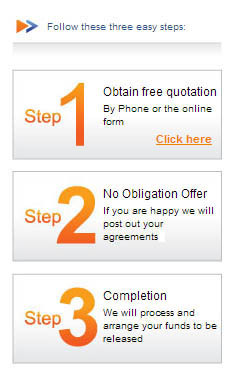 Providing you meet the correct criteria for each mortgage and are able and prepared to commit to the repayments within the mortgage contracts (allowing for any projected rental income in the case of buy to lets) you can take out a second, third or even a fourth mortgage and secure notably competitive additional mortgage rates at the same time. Our experienced mortgage advisers have access to a large selection of specialist second home and buy to let mortgage products. 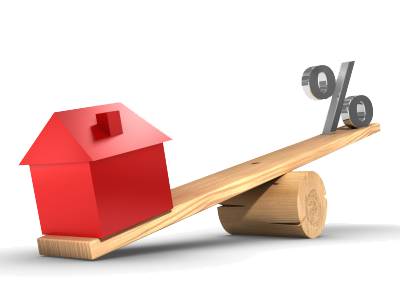 Importantly you clearly need to be able to see the rates, facts and figures before you decide whether you want to take on a second mortgage or home loan and so our method is to first provide you with a free, confidential, no obligation quotation for your own finance enquiry. If you are interested in a £50,000 buy to let property as an investment or a £350,000 second home for the summer months, large or small, the value doesn`t matter. You can also look at interest only and interest and capital repayment mortgages in this arena. So, what does matter is that you are aiming for a good deal from a selection available for your circumstance; by coming to a leading mortgage business like ourselves you will get options . In considering your mortgage predicament, logically you only have one main residence, that being the one where you spend the most time. This means that even if you are lucky enough to have a second home, it isn`t classed as your main residence and the home loan on that alternative residence falls under the category of a second mortgage. That is why we have second mortgage rates. If you already have a residential mortgage, the second property that you are looking to buy will not always be secured on the same rates that your residential property is. The rates on a second property will usually be a little higher than on your main residence. This difference can be minimised by having the largest deposit you can afford, e.g. 20 to 25% would be helpful and as with any loans the rate will reflect your credit history. So if you have some adverse or bad credit then whilst you may well still get a second home loan, you will normally find the payments slightly higher because you will be deemed as a higher risk from the lenders perspective. The key to remember is you cannot second guess what rate will apply to you as there are many factors that can affect rates daily, even the lenders appetite to win more business can drop rates across the board. 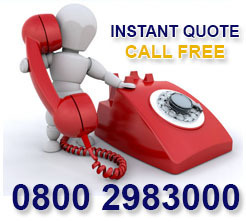 Fortunately you do not need to stress as through our free quote service you can see what numbers we are able to obtain for you exactly before you make take any leaps. Simply fill in our short online application form at the top of the page or give us a call and we will get back to you along with a free quote with absolutely no obligation to proceed if you decide it is no longer what you are after. 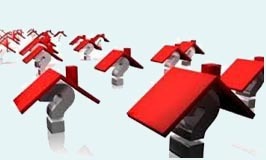 Although the rates and lending criteria are different on a second mortgage the LTV that the mortgage lender`s are willing to work at are getting closer and in some cases are largely the same. In general rates may be a little higher, but getting approval can be a little easier. This is great news for many of us trying to secure second homes, that feel they can afford the second mortgage but haven`t been able to save up a hefty deposit. If you are looking for a second home or a buy to let property we have products available that are willing to lend up to 90% of the purchase price. This means that you are only required to save a 10% deposit plus any fees to secure your second mortgage. If you already have the 10% deposit in place contact the office on the above numbers today to see what we can arrange for you. As well as a second home, if you are looking to invest in a buy to let property, the buy to let mortgage you are after will have rates reflective of second mortgages or remortgages. Although the second mortgage rates are generally higher than those you may have secured on a residential property, a buy to let could be a sound investment even with a higher rate. Before you take on financial investments you should consider seeing an independent financial adviser to explain the risk and benefits to you in detail. If you are ready and have researched your market prudently you can often command a rental income greater than your monthly mortgage repayment. To secure a buy to let mortgage in the first place your rental will often have to cover 125% of the interest payment on the mortgage payment. Some simple maths will give you an idea of the costs of expanding your buy to let portfolio or stepping into the buy to let property market. A buy to let remortgage can also be used to release any built up equity in a property which could be used to fund further investments. For more information on the options available with regards to second mortgage rates and the buy to let market head over to our page on buy to let mortgages. Whether you are applying for your first mortgage, your second mortgage or your tenth mortgage; as a buy to let investor or second home buyer the chances are you will be fully aware of the importance of budgeting and fully understanding the true costs of another mortgage. Our understanding mortgage advisers will carry out a thorough check of your affordability and to add to that we encourage all of our future customers to head over to our mortgage second mortgage calculator. Our repayment calculator enables you to input the amount of loan you are after, state the term you are willing to repay the loan over and the second mortgage rates you are looking at, once you have these figures all in place it will tell you how much your monthly repayment would cost on either a capital repayment and interest or just an interest only basis. From there you can get an idea of the second mortgage rates that you would like to secure or the term you may need to make the payments manageable. When you want specifically tailored figures give us a call or enquire on line and our mortgage team will get the ball rolling. How Long Does A Mortgage Application Take?